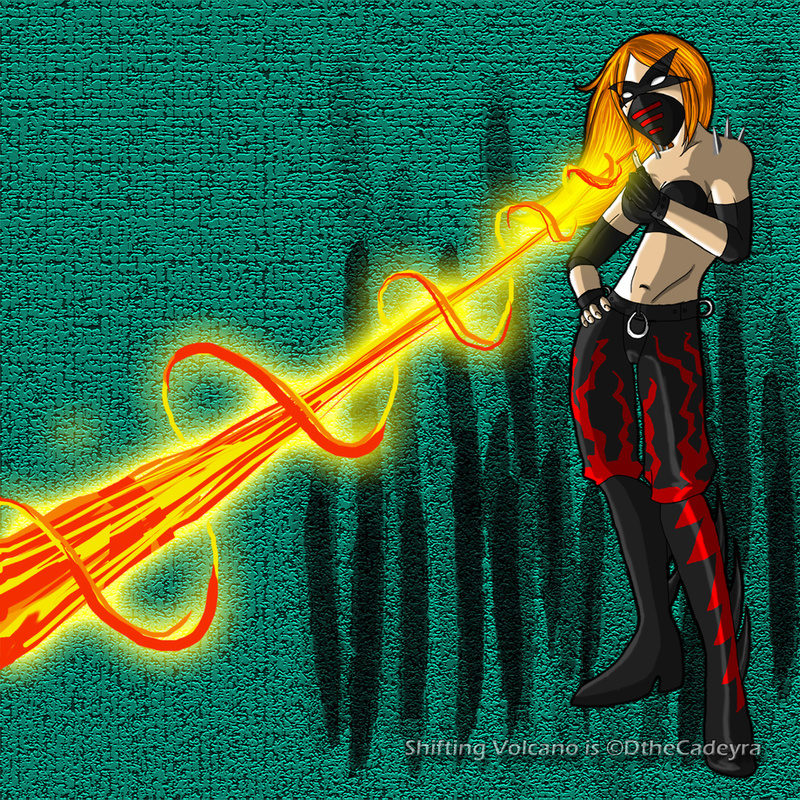 Shifting Volcano is a super villain that I made on the MMORPG "City of Villains". She's a Dominator (distance fighter) with stone/fire powers. She has a little back story; An eighteen year old girl named "Mallisa Hendrix" was chosen to become a beacon of Mother Nature's rage and fury against the human race. She hates the powers that were given to her but cannot help but use them to destroy anyone in her way. She is under the influence of the planet's volcanic anger!